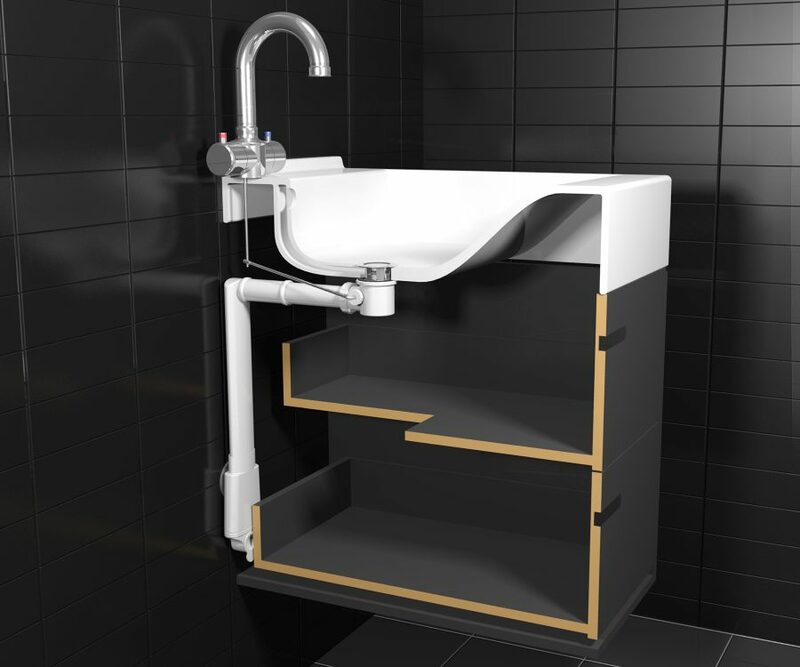 Another practical innovation to offer more freedom of design and easy installation. 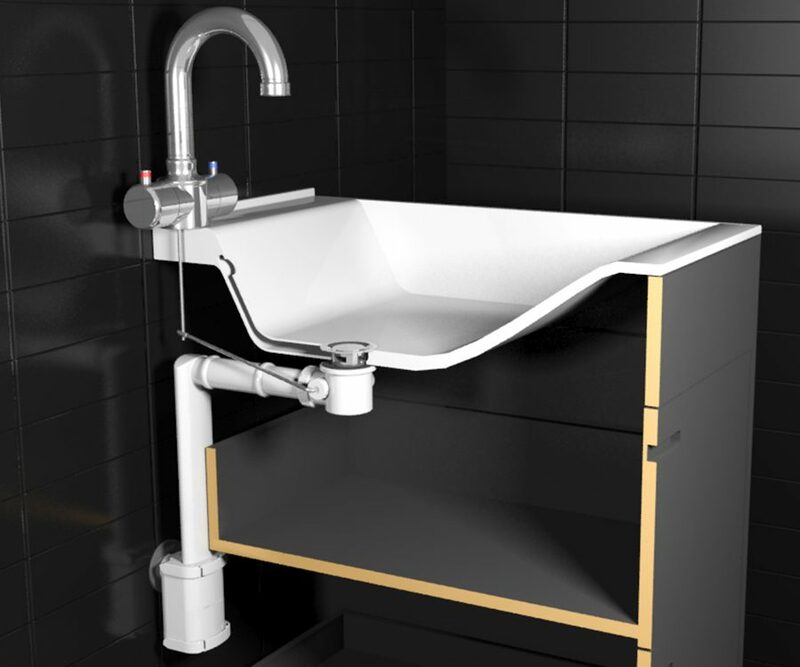 Our flattest wash basin siphon available is ultra-thin and therefore easy to install behind furniture such as a bathroom basin or unit. 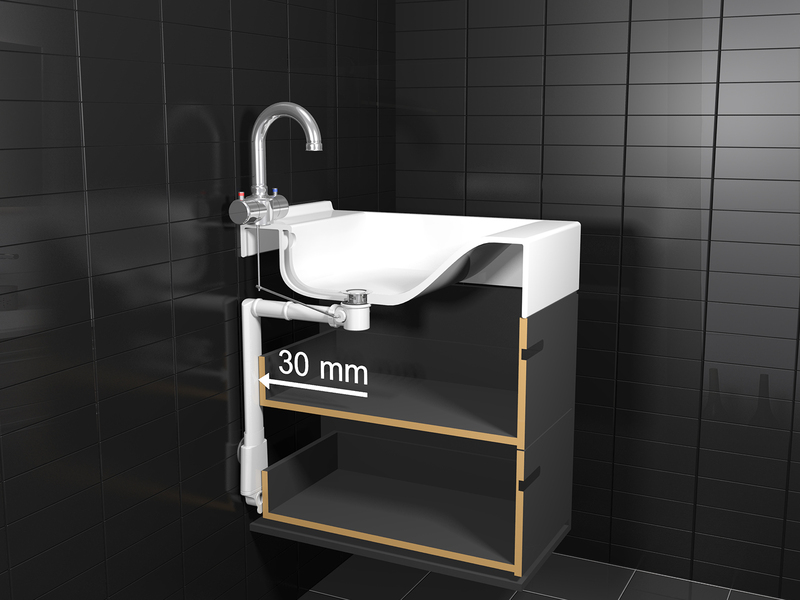 It fits all standard drainage pipes (DN40/DN50) and is compatible with basins having a push-open valve.  With its low installation depth, multifunctional usability and its flexibility, it can be considered as a revolutionary and practical invention. 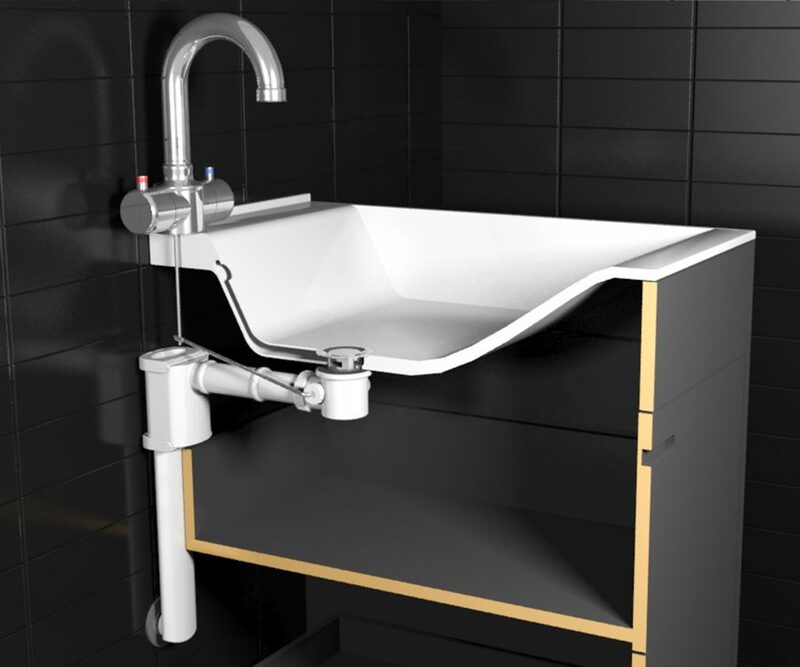 ESS presents the flattest washbasin siphon available on the market. 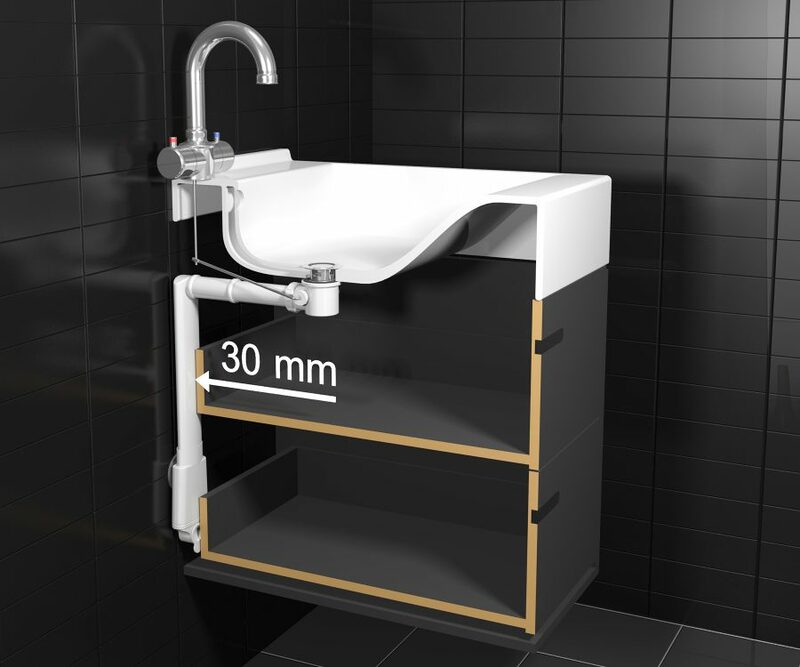 With only 55 mm installation depth this drainage tube offers manufacturers the possibility to design bathroom furniture without siphon recess.